Tap the table area to display the zoom controls. 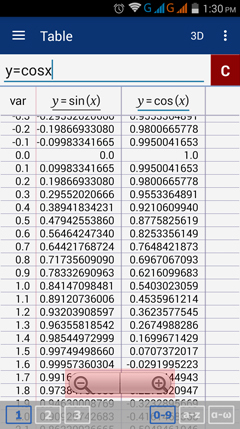 Zooming in will decrease the step size of the independent variable in the leftmost column. Zooming out will increase the step size.